Cru invites people into deeper relationship with Jesus. 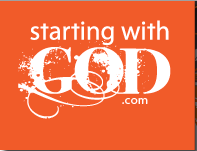 For many, this means inviting them to begin a relationship with Jesus. Cru sends staff members around the world to build personal relationships with individual people. 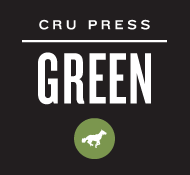 Cru creates tools, print media, short films, webpages, electronic media, etc… that can be distributed to or accessed by those with whom we are unable to have personal relationships. One example of this is the Josh McDowell Ministry. Cru partners with any person or group who wants to invite people into deeper relationship with Jesus. For example, the Jesus Film Project, one of the ministries of Cru, partners with over 100 other missions organizations and church denominations. Cru invites college students to participate in summer mission trips around the world. Over 3,000 students go on summer mission trips each year with Cru. These mission trips prepare them for a lifetime of walking with Jesus. In today’s US Army, for each soldier on the front lines, 7 people serve behind the scenes to keep that soldier equipped and ready for combat. Without these 7 people, the front line soldier cannot be effective in combat. Within Cru, each person serving behind the scenes enables 6 other Cru staff members to serve effectively in the field. Our service in Cru’s international headquarters enables front line Cru staff to more effectively invite people into deeper relationship with Jesus and deeper participation in the mission. We help Cru staff members manage money effectively for evangelism and discipleship. We also help analyze data for greater ministry effectiveness. Like many missions organizations, Cru has no central funds. We trust God to provide people to partner with us by giving and by praying for us. Would you join with us by giving a special gift this month or by joining us as a monthly partner at $100/month or some other amount? Your partnership makes a difference for us, for the Cru staff we serve and for the lost around the world. We have a brief window of time to raise additional funds. Your help is needed and appreciated. Your partnership helps us continue toward the vision of movements everywhere so every person in the world will know someone who truly follows Jesus. Giving online is really easy. Once you click “Give a Gift,” you can choose how much you’d like to give and how frequently. You’ll enter your contact info and choose how you’d like to give (either electronically through your bank or with a credit card). Your gift is 100% tax-deductible. If you would like to give by mail or other ways, click here for more information. As a team, we can invite people into deeper relationship with Jesus and deeper participation in his mission!